This article is designed to help you get your QuickBooks Desktop software integrated using Intuit’s Web Connector. 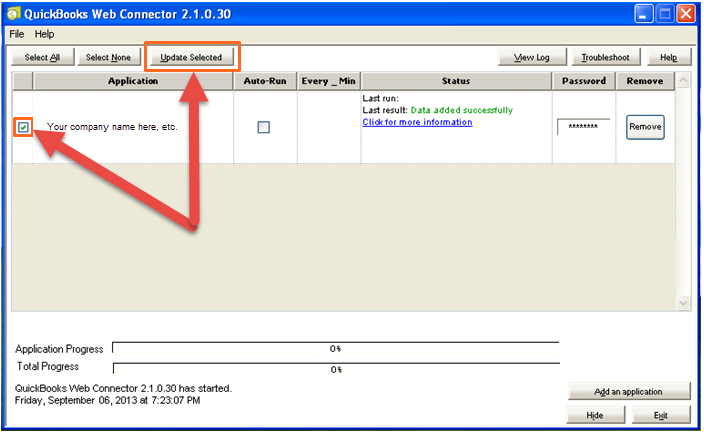 Follow the steps in the Circulus setup wizard and use this article to supplement the information provided. Once you have verified that web connector is installed, you are ready to continue. 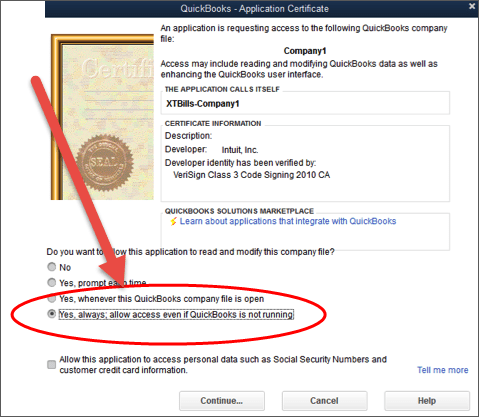 Note: If your QuickBooks is hosted (cloud server), you should install the web connector in the same location as your QuickBooks is installed. This utility will also need to be running in order to sync later. If your QuickBooks is hosted (cloud server), the file path should reflect the location as it is on the hosted environment. For example, your local computer might have the standard “C:\” drive, along with a local server “F:\” drive. However, the cloud server might have your .qbw file on it’s “G:\” drive. Since the web connector is running on the hosted server, it will access the data file on the server’s “G:\” drive. In this case the file path might be something like “G:\Data\QuickBooks files\Dunkin Donuts.qbw” if, of course, you are Dunkin Donuts. Note: To reduce potential errors, remove any special characters from your file name. Once you have the correct file path entered, click the Download QWC File button. Your file will begin downloading automatically, and you will be provided with a QBWC Password, which will be used later. In this step, you will open the web connector and add the application. You can do this by simply double-clicking the web connector file that was downloaded. Alternatively, you can open the web connector, select Add Application, and browse to the downloaded file. 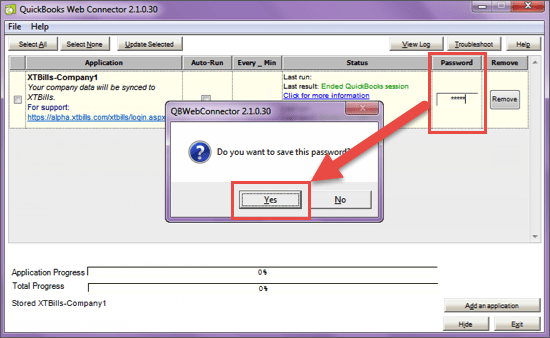 Web connector will ask you to grant permission for Circulus to access your QuickBooks data. 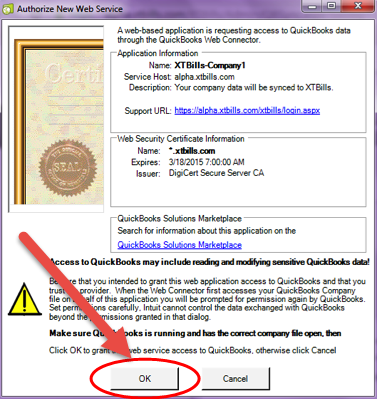 For optimal synchronization, select the last option labeled: “Yes, always; allow access even if QuickBooks is not running.” This allows you to sync your QuickBooks and Circulus accounts without having QuickBooks Desktop running. Click Continue and click Done on the following confirmation screen. You will then receive a notification that your company has been successfully integrated with Circulus. At this point, you can sync your accounts at any time by opening web connector and clicking Update Selected. If you would like to set your account to auto-sync, simply activate the Auto-Run checkbox, enter your preferred sync frequency (in minutes) and click Update Selected. Your account will then be set to auto-sync based on your chosen schedule. Upon each sync event, you will be presented with a status update, appearing in the bottom right-hand corner of your screen. Once completed, you can return to Circulus to continue the setup process.